Our research team are very interested in your stories about being involved in amateur theatre, and we're not the only ones. There are some other very exciting projects taking place at the moment which are collecting stories about people's memories and histories in the amateur theatre sector. 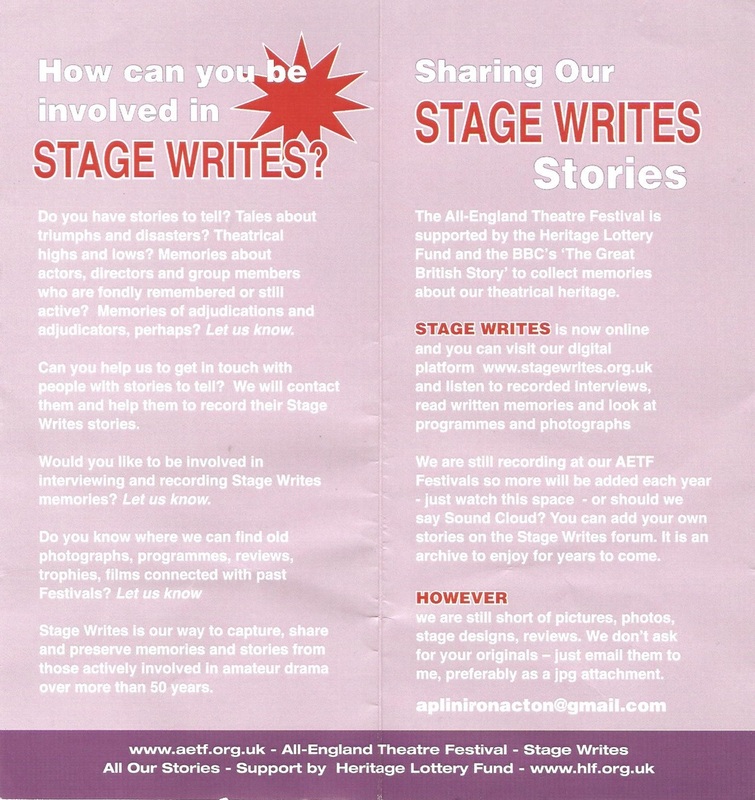 The All-England Theatre Festival is presently running a Heritage Lottery funded project called 'All Our Stories', and you can read more at the Stage Writes website. You can also contact Ann Aplin with further questions, via email at aplinironaction@gmail.com, or refer to the central AETF website.